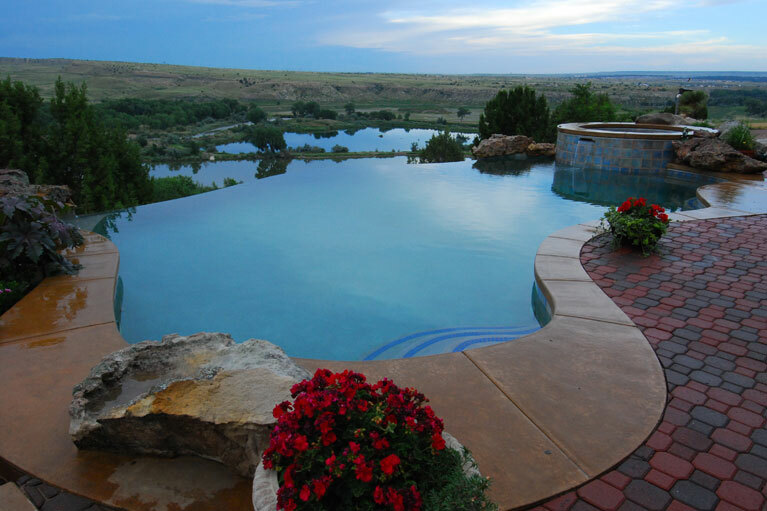 This Kidney shaped swimming pool and spa combination was constructed for a private residence in the hills of Colorado. The pool features raised rock work with a soothing waterfall that connects the two bodies of water for one continuous flow. We designed this pool to serve as a transition between the home and the gentle curves of the sloping scenery, along with an infinity edge that gives the illusion that you could swim right into the lake below.